Our friend, S-san bought us to Gion Tokuya for dessert. 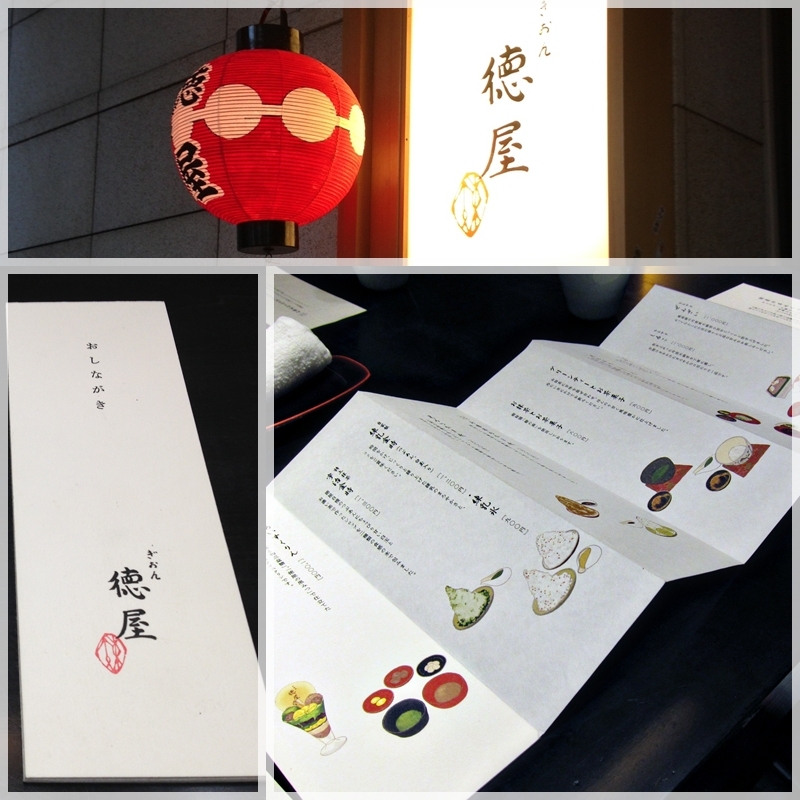 I love the fold-out menu with its pretty illustrations! On the left, the daily special of shaved ice with Japanese milk tea, nuts, chocolate topping and soft mochi. S-san's Mochiyaki zenzai which consists of red bean soup with pickled Japanese basil seeds and mochi, rice sticks that you grill to your fancy. Behind is H's Isobe-yaki; mochi with soy sauce, seaweed and Japanese tea. 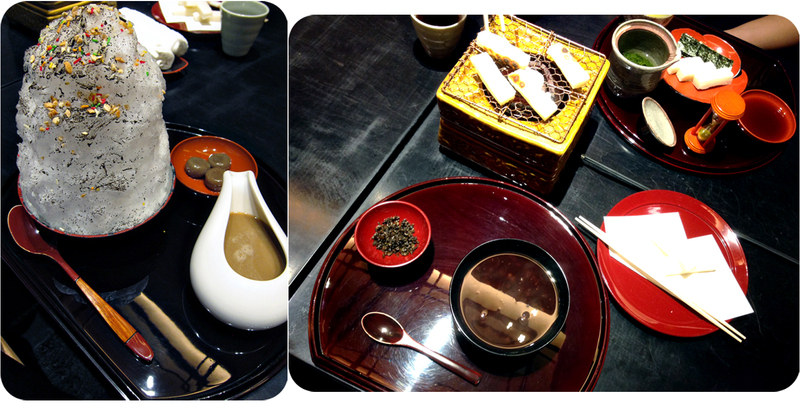 It was our first time having such beautifully presented Japanese desserts in lovely company, thank you S-san!